You have a unique design for a skylight. 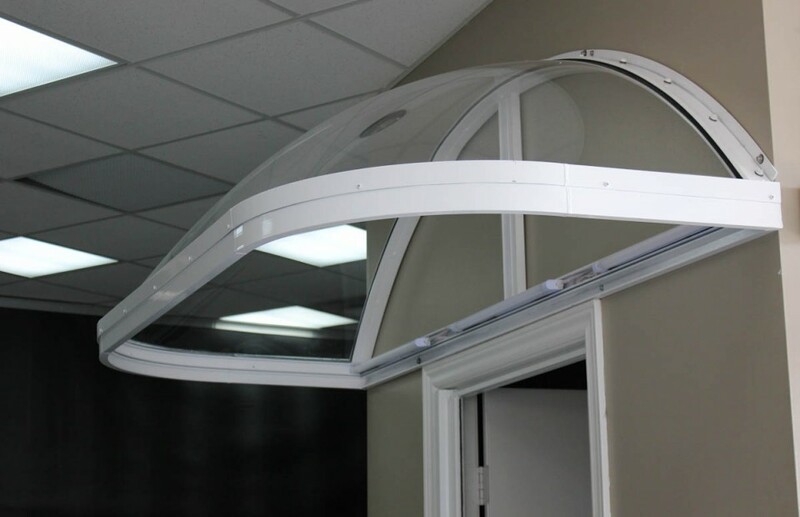 Or you have visited our acrylic dome skylight pages and did not find the size or type of skylight that you need. No problem! Contact us to make a special order that meets your requirements. 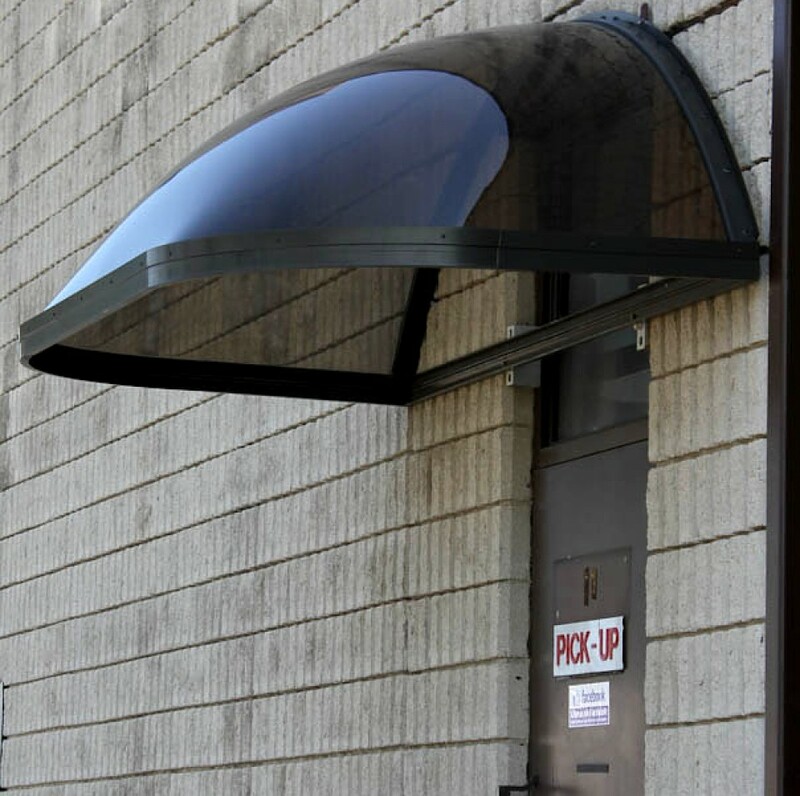 -You need simple or triple glazed acrylic skylights. 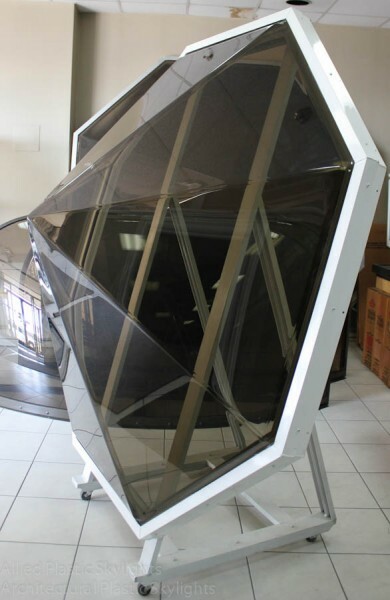 -You can order your skylight with a bronze tint of varying densities, depending on your light transmission needs. 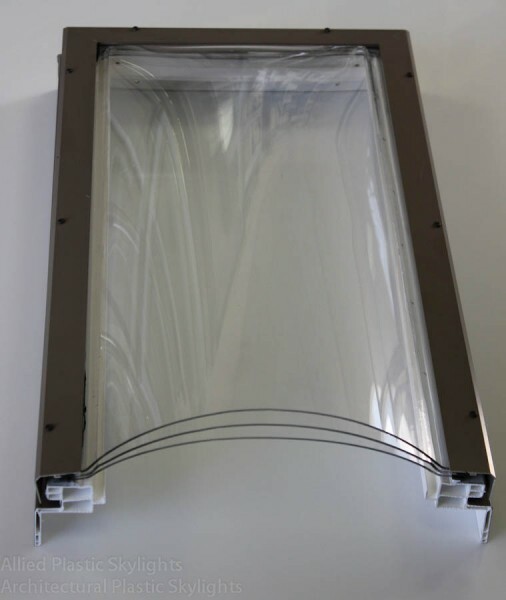 -White translucent acrylic is also an excellent choice for diffusing light and reducing solar heat. -It is even possible to order a variety of special acrylic colours, either transparent or translucent. 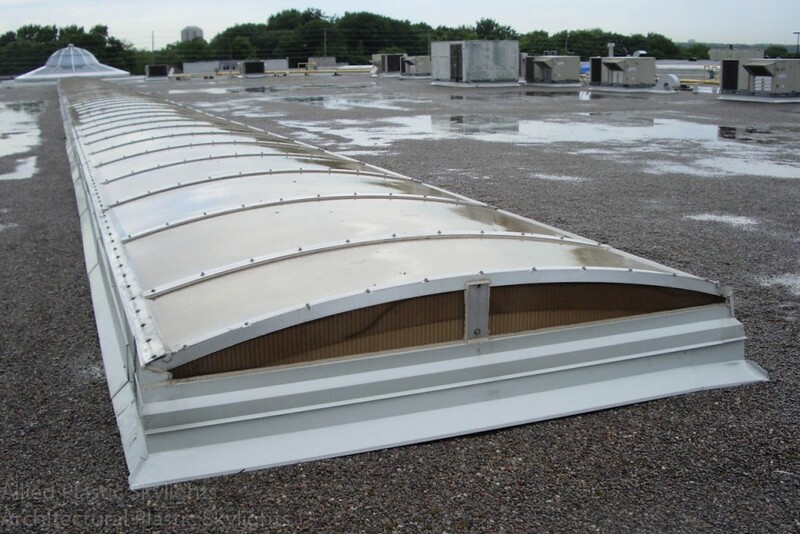 Skylights that are longer than 5 feet or commercial skylights, are built with frames made with both acrylic and aluminum and are mill finished as standard. -An optional Duracon® 100 (Thermosetting acrylic) architectural metal finish is available in a wide range of colours. Puits de lumière sur mesure: Auvent de porte.